Seamless wired to wireless iPad control means you can mix from anywhere in the venue. This gives you the mobile freedom to control not only ..
Seamless wired to wireless iPad control means you can mix from anywhere in the venue. This gives you the mobile freedom to control not only the mix, but also powerful plug-ins like EQ, dynamics, effects and more. The sleek DL1608 even supports up to 10 iPads. Forget bulky consoles and racks of gear. The sleek and low profile design proves that bigger isn’t always better. Sound technology doesn't stand still and neither do Mackie, they're always working to improve. 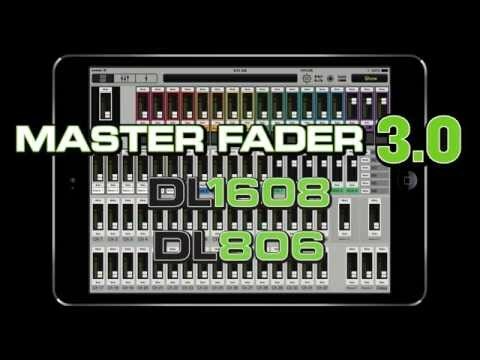 With the latest Master Fader software you get even more control over your routing and FX. Create mix snapshots, channel presets and record stereo tracks straight to your iPad. Use your iPad camera to snap quick pics of the band members or gear for customized channel IDs.